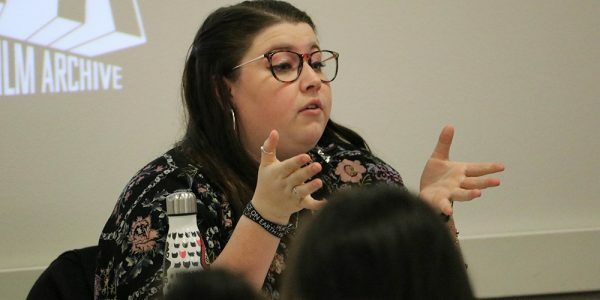 Ten students representing the Vidal M. Treviño School of Communications and Fine Arts joined the SJMC this spring to participate in the PRSSA 2018 Regional Conference. This is the first time they come for this event, and we were excited to host them! Check out their work from when they visited the SJMC during Mass Comm Week in 2017! 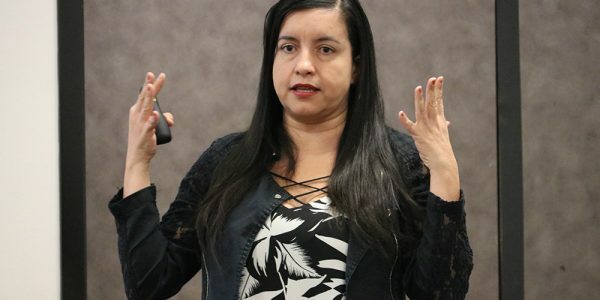 The D. D. Hachar Visiting Hispanic Media Professionals Program is a joint venture between the university and the School of Journalism and Mass Communication. 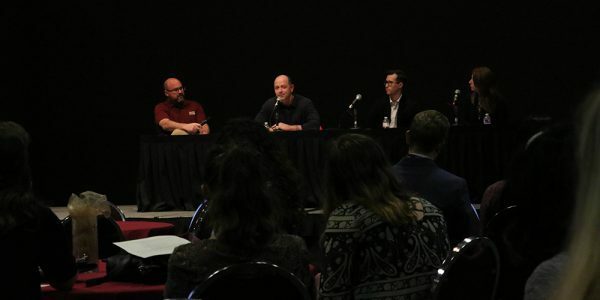 Students visit campus for the day to participate in presentations by mass communication professionals and visit campus facilities, including campus media and residence halls. For many of the students, this was their first visit to a college campus. More than half of the students indicated they would be the first in their family to attend college. 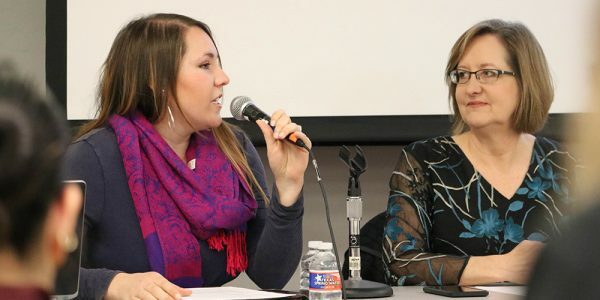 The Laredo students traditionally visit campus in October during Mass Communication Week so they can mingle with college students and benefit from a variety of mass communication professionals who speak on campus for the event. 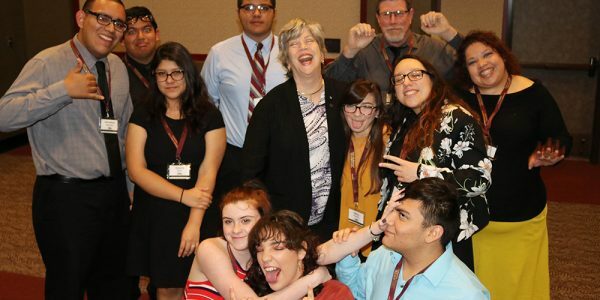 About 600 Laredo students have visited Texas State University’s School of Journalism and Mass Communication since the beginning of the partnership with the D.D. Hachar Charitable Trust in 2004. 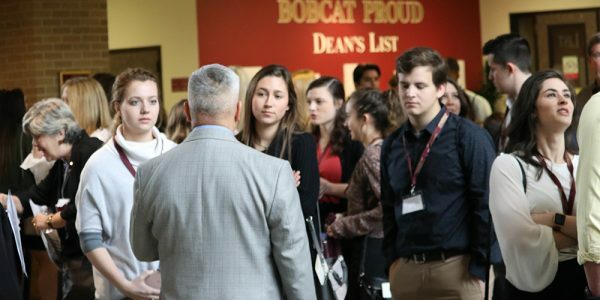 The Texas State University Office of Admissions also provides financial support for the program as does the School of Journalism and Mass Communication and the University Bookstore. 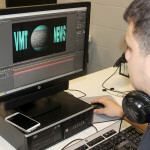 Jesus Peche works on a promo in After Effects in his radio/television broadcast class which will eventually be used for the broadcast program’s YouTube channel, VMT Productions, at the Vidal M. Trevino School of Communications and Fine Arts. 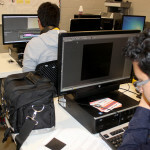 Indira Cardenas and Yanira Sanchez work on special effects which will eventually be used in his radio/television broadcast class for the broadcast program’s YouTube channel, VMT Productions, at the Vidal M. Trevino School of Communications and Fine Arts. 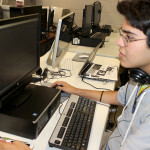 Ismael Cadean works on an animation in his radio/television broadcast class which will eventually be used for the broadcast program’s YouTube channel, VMT Productions, at the Vidal M. Trevino School of Communications and Fine Arts. 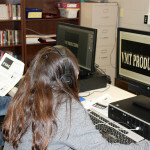 Students work on projects which will eventually be used in his radio/television broadcast class for the broadcast program’s YouTube channel, VMT Productions, at the Vidal M. Trevino School of Communications and Fine Arts. 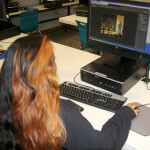 Angie Cisneros, print journalism/online media student at the Vidal M. Treviño School of Communications and Fine Arts, edits a video for The Magnet Tribune student newspaper’s website (http://magnettribune.org) and the newspaper’s YouTube site. Guillermo Baldera, left, and Luis Gutierrez shoot video using a green screen that will eventually used in an animation for a promo in their radio/television broadcast class for the broadcast program’s YouTube channel, VMT Productions, at the Vidal M. Trevino School of Communications and Fine Arts. 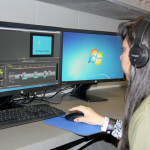 Jamin Teran’s classroom with computers to edit photography, audio and video productions. 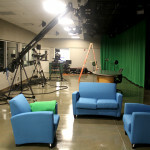 Jamin Teran’s studio for communication students to produce video programming. 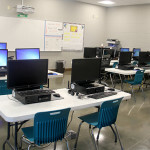 Mark Webber’s classroom with computers to edit photography, audio and video productions. 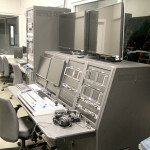 Tricaster 3000 switcher in the control room adjacent to the studio. What is the D. D. Hachar Visiting Hispanic Media Professionals Program? 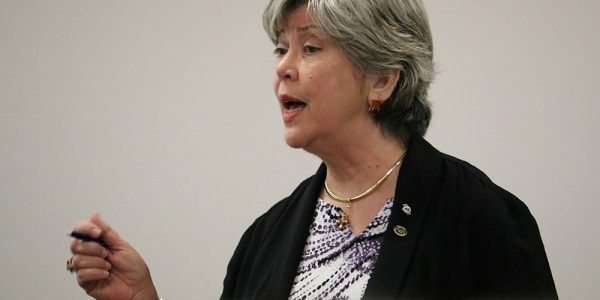 The D. D. Hachar Visiting Hispanic Media Professionals Program with the School of Journalism and Mass Communication in Texas State University hosts professionals in the field of communications to visit Texas State University during Mass Comm Week. 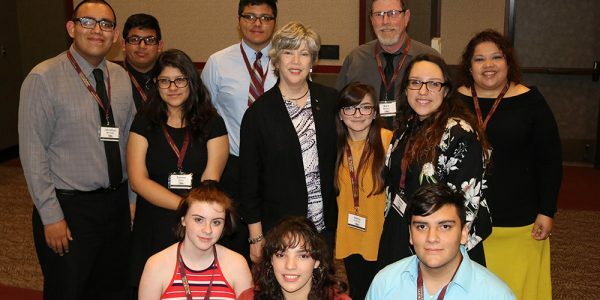 At the same time the program hosts high school students from Laredo to visit the campus, attend and participate of the media professional sessions, tour the communications facilities in Old Main, the University Star, KTSW Radio as well as Alkek Library, the Wittliffe Collection and the Bobcat Studio, among others. 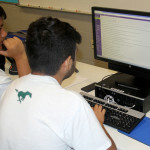 Which Laredo High Schools have visited the campus? 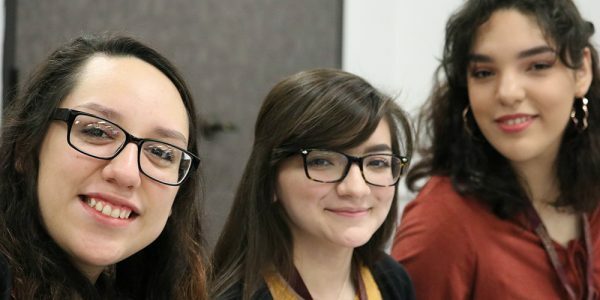 The commitment of instructors, advisors, media professionals and faculty members who mentor the dedication and hard work of Hispanic students in Laredo, make the program a one-of-a-kind program as well as living proof of ‘the Hachar promise’ every day of the year. What is “The Hachar Promise”? Don Demetrio David Hachar once said, “With education people do not need outside help; they can help themselves”. Who is Demetrio D. Hachar? 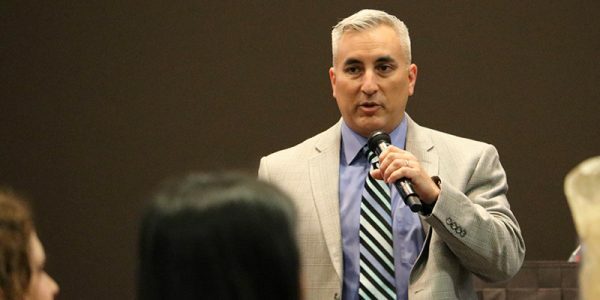 Don Demetrio David Hachar, a Lebanese born immigrant who moved to Laredo and shared his business’ success with the community, made a promise to help finance young ‘Laredoans’ with their formal education. Upon his death a trust fund, a living legacy to his promise, was set in 1980 and has helped hundreds of Hispanic students from Laredo complete higher education and succeed. 2200 Post Oak Blvd., 19th Fl. Date Founded: Established in 1980 in Texas. 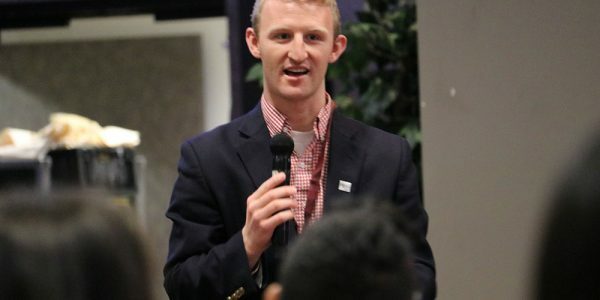 Purpose: Providing funding primarily for higher education, particularly scholarships to financially needy residents (of at least 3 years) of Laredo, Webb County, and surrounding counties in TX, who must maintain a GPA of 2.75. 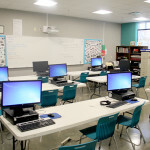 Students planning to attend a technical or vocational school will be considered on an individual basis as far as grade point average is concerned. Type of Grant maker: Independent foundation. 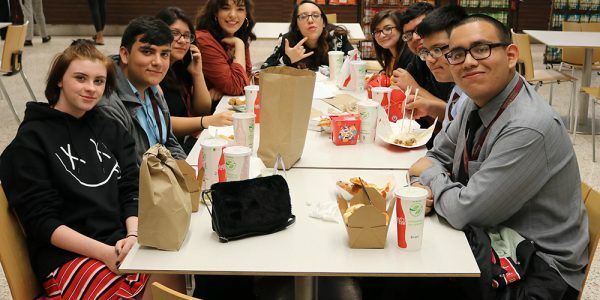 Last year, a group of eight parents accompanied the Laredo students from LBJ High School. 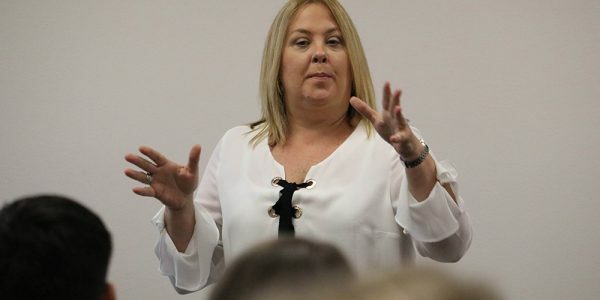 A program was tailored to the parents with the help of the Center for Study of Latino Media and Markets, a part of the School of Journalism and Mass Communication. 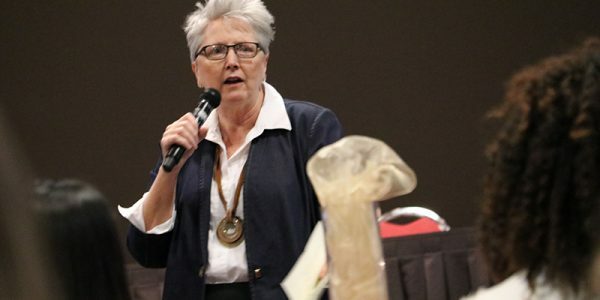 Parents explored services available to students on campus, including the Student Health Center and the library. 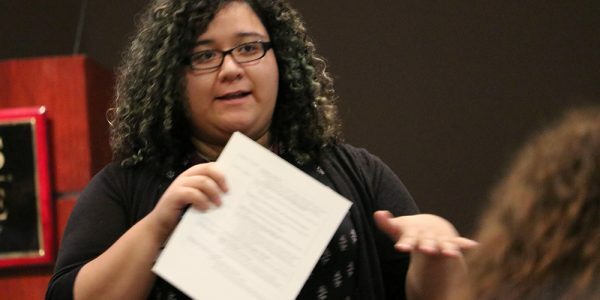 They also discussed the barriers to college with Dr. Sindy Chapa of the Latino media center. 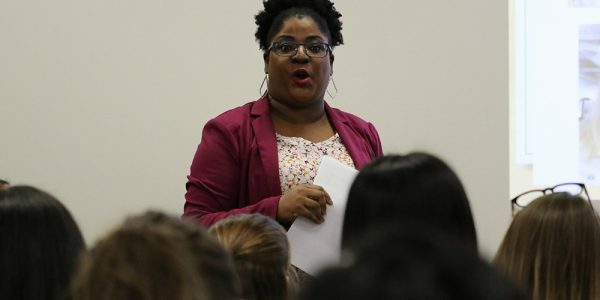 While the parents ate lunch and watched portions of a Spanish-language documentary about college, the students had pizza and listened to Hip Hop Congress, a student organization the inspires youth to get involved through social action and civic service. Also visiting campus in years past was the Vidal M. Trevino School of Communications and Fine Arts. 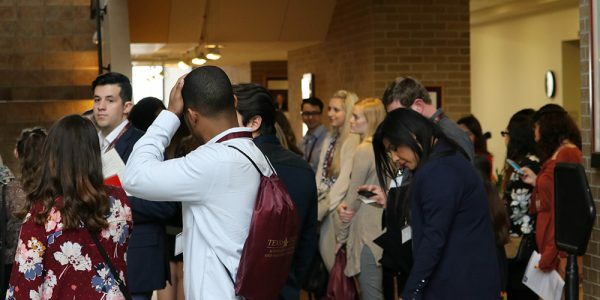 About 40 students from the Trevino school make the trip to Texas State each year as part of the D.D. Hachar program.